Thelma's father, Clifford R. Hillerman, was born on July 24, 1876 in Indiana. 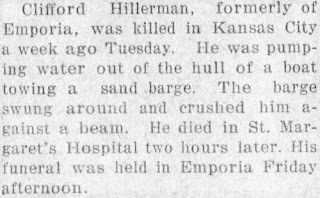 He worked in the railroad offices in Emporia, Kansas and played the clarinet in a local band. Clifford married Gussie Knittle on September 4, 1899 in Salt Lake City, Utah. They moved back to Emporia and lived at 314 Neosho Street. Thelma was their only child. Clifford and Gussie were divorced in 1905. Gussie claimed he had left her for another woman and was not supporting her. She also said he would often come home intoxicated. Clifford married Cora Lawson and had two more children - Virginia in 1906 and James in 1910. The couple moved to Kansas City, Missouri where Clifford worked as a laborer for a sand company. 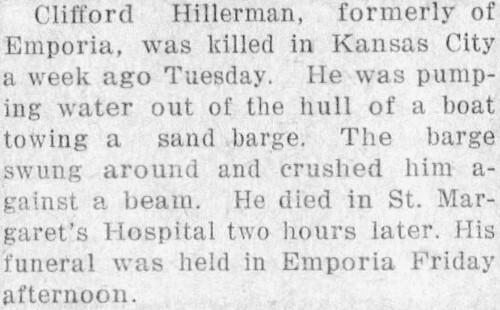 In September of 1914 he was killed after a sand barge crushed him. Clifford was only thirty-eight years old. He was buried at Maplewood Memorial Lawn Cemetery in Emporia. Thelma's mother, Augusta "Gussie" Knittle, was born on December 21, 1874 in New York City. Gussie's parents, Robert and Anna Knittle, were both from Germany. 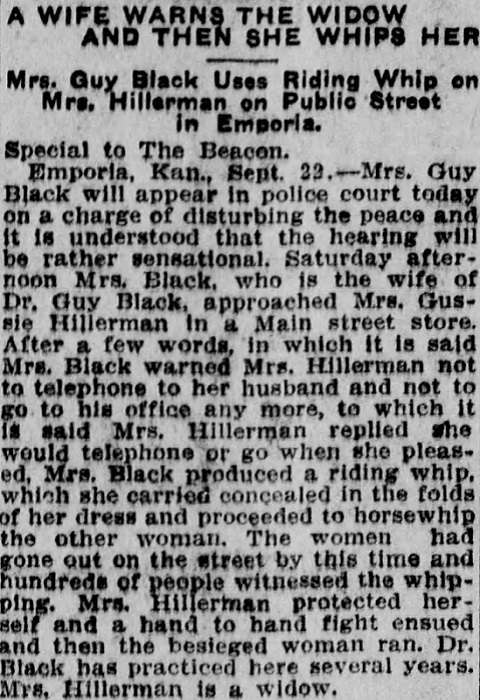 Her family moved to Emporia, Kansas in 1876. 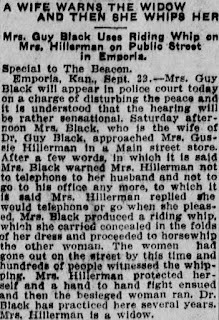 After Gussie divored Clifford in June of 1905 she was given full custody of Thelma. For several years she ran a boarding house in Emporia. In 1909 Gussie began having a romantic relationship with Dr. Guy Black. When his wife found out she confronted Gussie on the street and started a fight. The incident made headlines in the local newspapers. Gussie and Thelma moved to Los Angeles, California and opened a cafe. The lived at 1723 Sunset Boulevard. 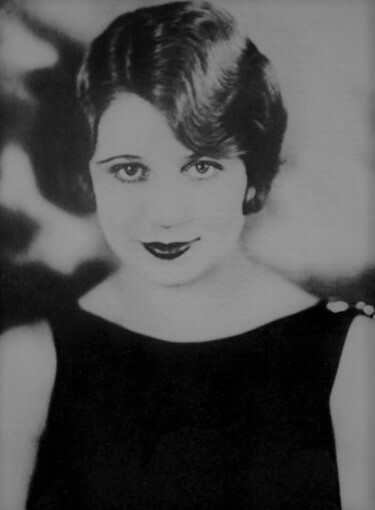 After Thelma died in 1938 Gussie remained in California. She passed away on December 12, 1954 (Thelma's birthday) at the age of seventy-nine.